Opening hours are every Wednesday, 10am-4pm. Refreshments are available, there are toilets in the building, and as we're on the ground floor wheelchair access is no problem. 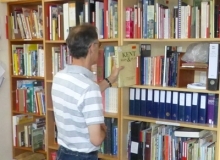 We have our own room, separate from the main library, where our complete collection of books and other reference material is now available on open shelves. (Currently 5490 items as of Oct 2017). 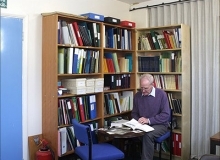 The microfiche, microfilms, data CD's and old documents are in store on site and are available on request. The set of tapes from the the Tape Library are no longer available on site but require prior notice request for access to them. Much of the material in the main catalogue is available for loan to members. The other material is only available for consultation in the Library. 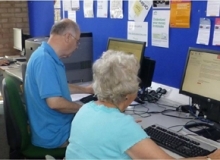 We have computers with internet access, this includes Ancestry, FindmyPast and other on-line genealogical databases, see below for the full listing. 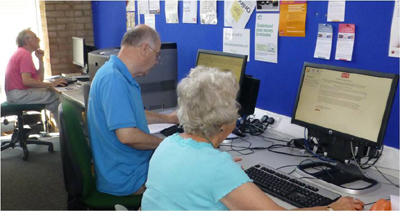 With a valid KCC reader's card (and PIN number) you can bring along your own laptop and access the internet and use the listed databases via the library's Wi-Fi link. Non-members are welcome to visit. 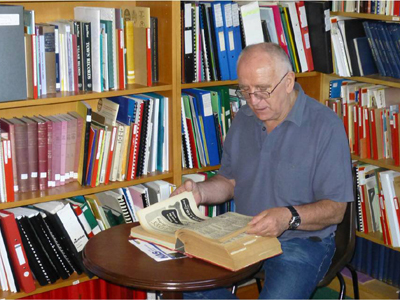 Workshops are run by arrangement to teach different aspects of family history. The subjects of these workshops are as requested by members to aid their research. 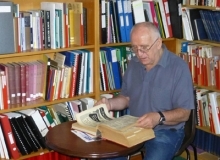 The workshops are generally limited to ten members per workshop. Where additional members wish to attend a workshop it is re-run to cater for all members interested in the topic. See the Workshops page for details. There is no car park but parking is available in the road. Bus services are the 429 and the B12. 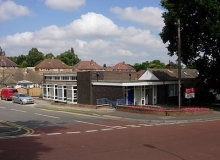 With the B12 (Joydens Wood Post Office), the stop you use depends on the time of day - after 12 noon it's on the opposite side of the road - see "Route Record" at the bottom of the B12 website page. The library moved to its current location in April 2009 and was formally opened on 24 June 2009. It was previously at Hextable Heritage Centre for eight years. 80 Summerhouse Drive, Joydens Wood Estate, Bexley, DA5 2EE.